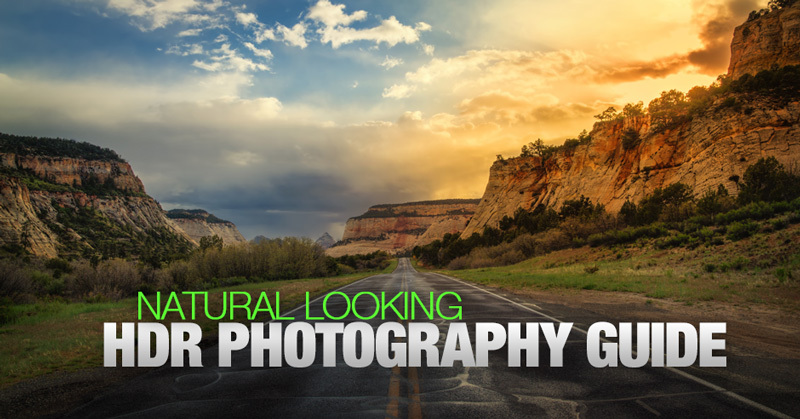 Have you ever wondered why it is that the beautiful scenery you witnessed during your last trip looks completely different in your photos even if you have decent, or high-end DSLR camera? Unfortunately, modern DSLR technology doesn’t even come close to matching an extremely sophisticated optical device like the human eye. The number of tones from lightest light to darkest dark which camera can reproduce in single photo is called Dynamic Range. Even with latest rapid advances in camera technology, the dynamic range of even the best digital camera remains 3 times smaller than human eye. Thus, the best camera on the market can interpret only 1/3 of our human experience. This never stops to amaze me. This is the reason why you’re able to appreciate the details in the bright sky and in the shadow areas during a beautiful sunset, yet when you look at the photo of the same scene, the technology limitations become obvious—the camera does not have a wide enough Dynamic Range to reproduce details in both areas. With this technology, we photographers have always had to compromise, selecting the most important object in the scene and setting exposure it. However, all this changed when High Dynamic Range (HDR) technology was introduced to photography. 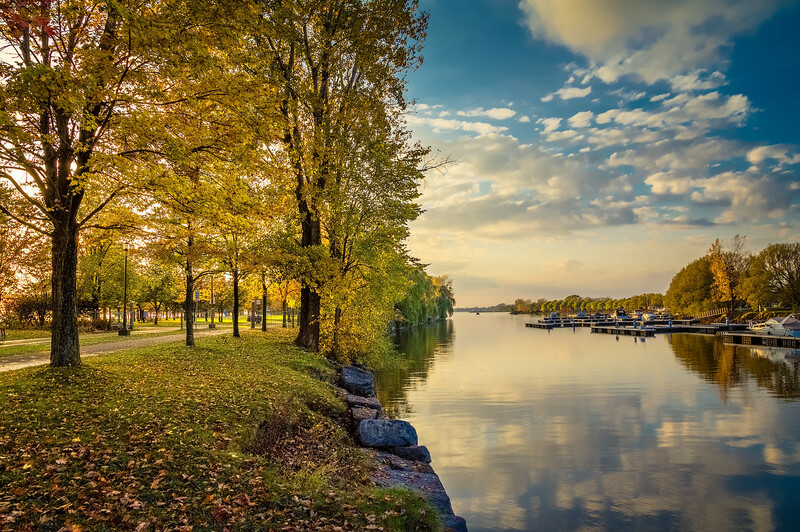 The goal of High Dynamic Range (HDR) photography is to artificially increase Dynamic Range of a given photograph, making it as close as possible to human experience. Concept is relatively simple: you take multiple photos with different exposures and use various software tools to merge them into a single image with extended dynamic range. 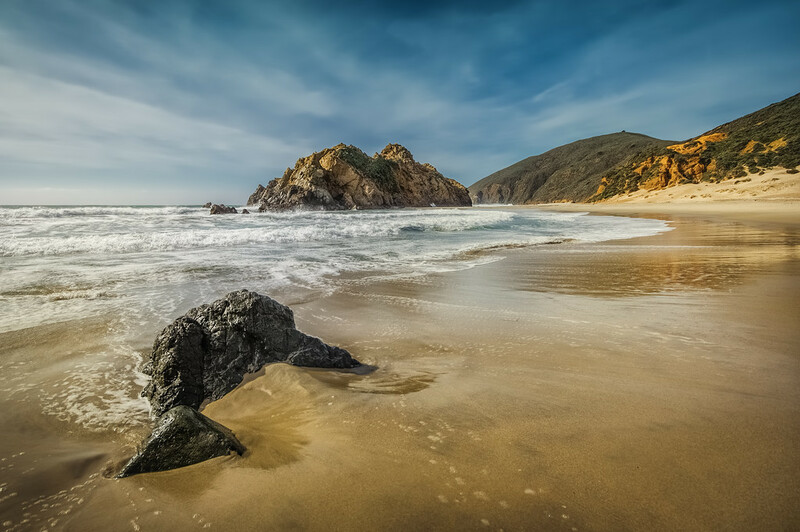 With the increased popularity of HDR photo processing in the last 5 years, there are a number different tools you can use. By far the most popular tool is Photomatix from HDRsoft, which I use when I want to achieve an unusual, sometimes surrealistic look in my photos. For natural-looking landscapes and travel photos I use a different approach. As you can see, my workflow is 99% Photoshop-based. 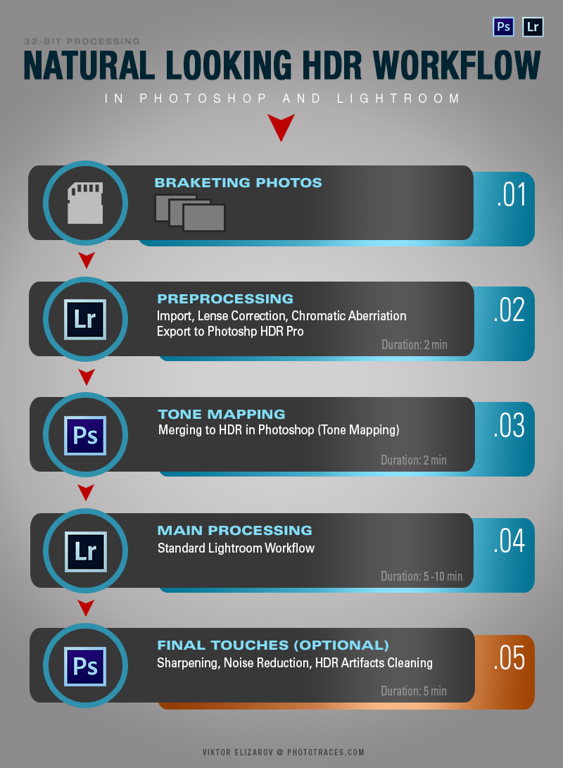 The foundation of this workflow is Photoshop and Lightroom support for 32-bit TIFF images. 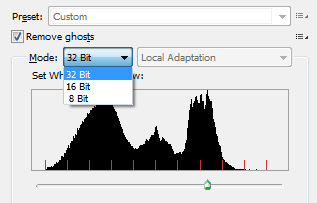 If you do not understand what “32-bit TIFF” means, it is absolutely not important. All you need to know is that you take 3 images, combine them into one “on steroids” super image (all legally) and edit this super image in Lightroom and Photoshop. 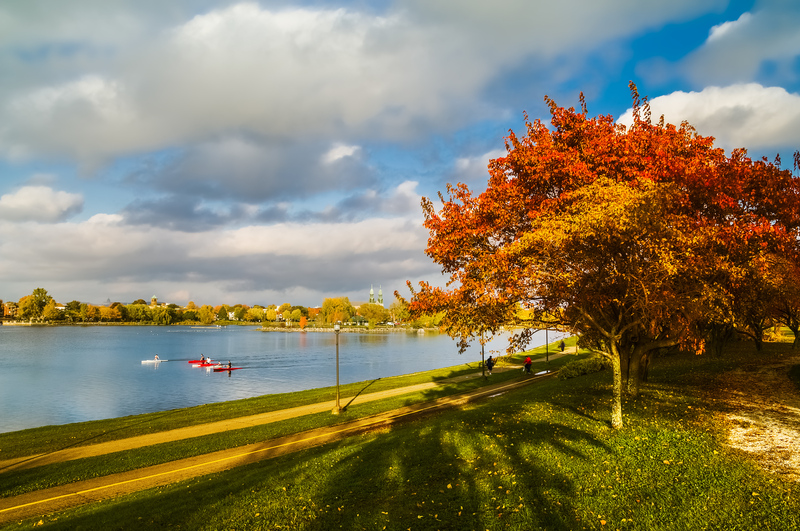 For my Natural Looking HDR Guide we are using 3 images that I took with the Canon 60D, hand-held. I used exposure bracketing -2; 0; +2. If you want to follow my guide step-by-step, you can download my source files package where you can find 3 original RAW images, import them to Lightroom, and have fun using my guide. Please subscribe to my Travel Photography newsletter and get access ro source file for all my tutorials. 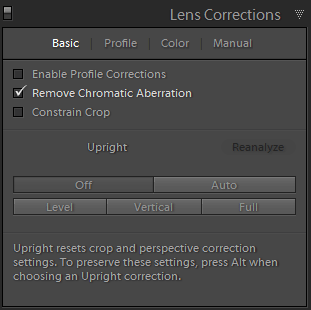 This is a very simple step, since we use it only to fix chromatic aberration; at the same time , it is still optional step since you can correct this later. For me, fixing chromatic aberration before merging images just makes sense. I want to have merged HDR image chromatic aberration free, which means I will not have worry about ugly fringing later in the process. This is a critical but almost automated step. The goal here is to take all data from 3 raw files that have different exposures and merge all that data into one file with enormous bit depth (32 bit), and bring it back to Lightroom for main processing. After clicking Merge to HDR Pro in Photoshop… (see previous step) Photoshop will load all 3 raw images into new document and then it will align them. Since I took 3 hand-held photos without using a tripod, it will take Photoshop some time to perform complex calculations in order to properly align them. 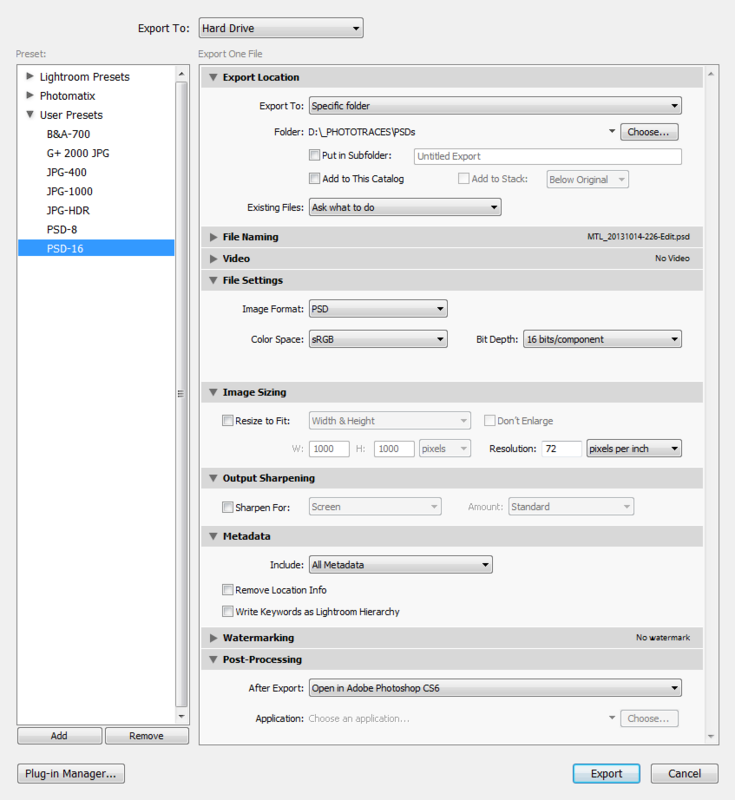 When images are aligned, Photoshop will open HDR Pro interface. 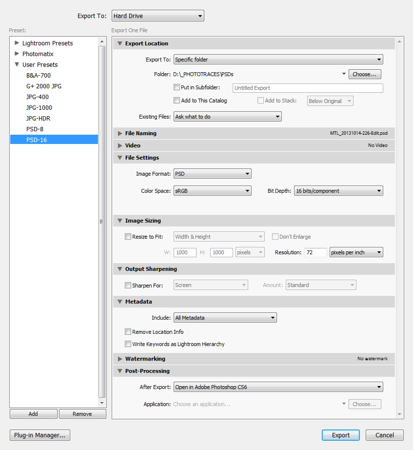 By default, Photoshop will open interface for 16-bit mode processing; we have to change it to 32-bit mode by selecting the appropriate option from the drop down menu. Please note that at this point image looks flat and very unappealing, which is normal and there is no need trying to adjust the slider below the histogram – it serves only for preview purposes and does not affect the image at all. For this particular set of images we have to check the Remove Ghosts option because our scene has moving objects: multiple leaves and waving water. After, we are ready to hit OK, and Photoshop will close HDR Pro interface and load merged but unsaved HDR image into the main interface. Now it is time to save it and we are done. By default, Photoshop will save the new merged TIFF image to the folder where the original RAW images are located and will add the word EDIT at the end of the file (keeping the original name). 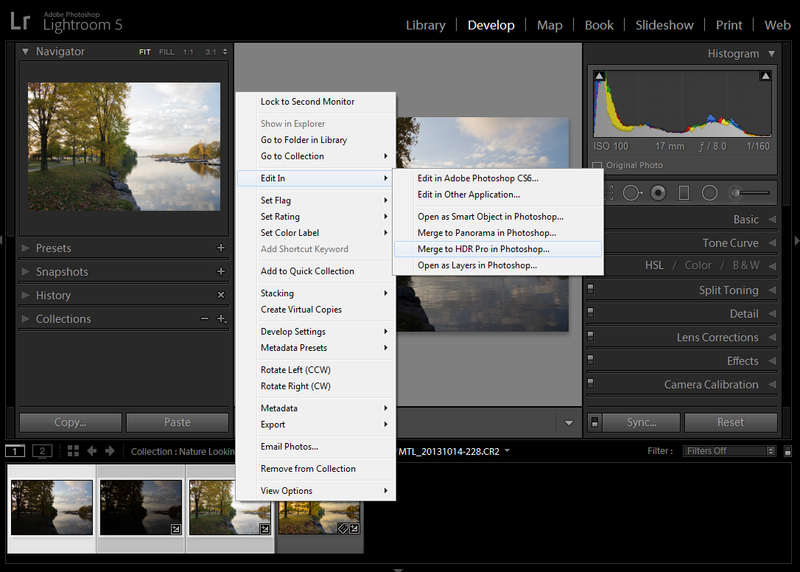 Lightroom will automatically import the new file to its catalogue (which is very convenient). Now it’s time to jump back to Lightroom where next to the 3 original RAW files, you’ll find the new TIFF image that has a substantial bit depth (32 bit) and a substantial size (about 200 Mb). From this point on, we are going to use the standard Lightroom workflow with only one difference: we can now push the image much further without worrying about breaking it up, since it has much more data compared to any individual original image. Before moving on to Photoshop, the last action we need to take in Lightroom is to deal with the excessive noise. By pushing “post processing” in Lightroom, we introduced quite a bit of noise and we have to address it. If you analyze the image at 100% or 300% you can see that noise is very prominent in flat areas of the image: sky and water. The part of the image that has the trees, pattern is so complex that noise is present but not noticeable. 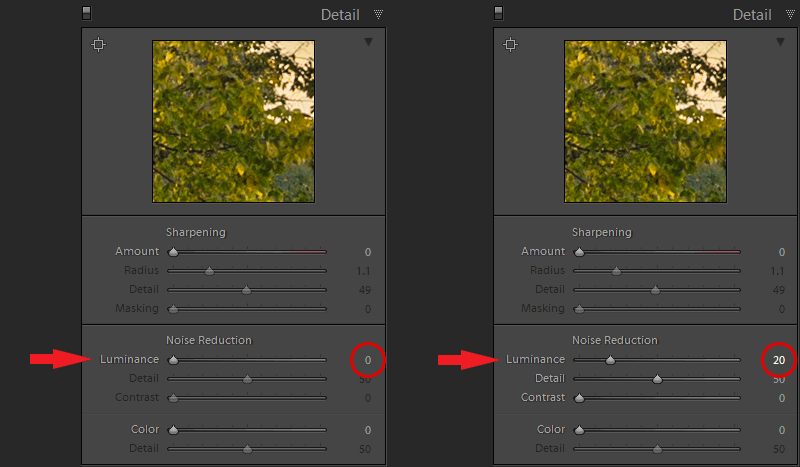 Noise reduction in Lightroom is not very sophisticated and if we simply apply noise reduction on the entire image, it will reduce noise everywhere, including the areas that we want to keep sharp (trees, grass, boats). The trick here is to export 2 images from Lightroom, one with noise reduction set at zero and the other with a high noise reduction level. Later in Photoshop we are going use the layer mask to reveal only the areas to which we want to applying the noise reduction. The last step here is to export 2 PSD files. I used my PSD Lightroom preset (see screenshot below). For this particular image we do not have to do any extensive Photoshop editing. In total, it can be done in 5 steps and 15 min at most. 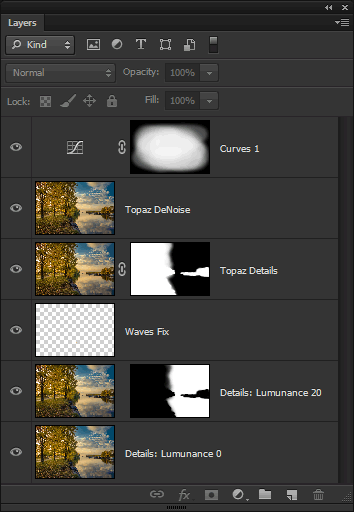 Below is the screenshot of the layers palette from Photoshop of the final document. The easiest way to follow my guide is by downloading source files where I included a layered PSD file of the project. TOOLS > PHOTOSHOP > Load Files Into Photoshop Layers. Using soft brush at 75% opacity start painting with black color areas of the trees, grass and marina boats to make sure they stay sharp. 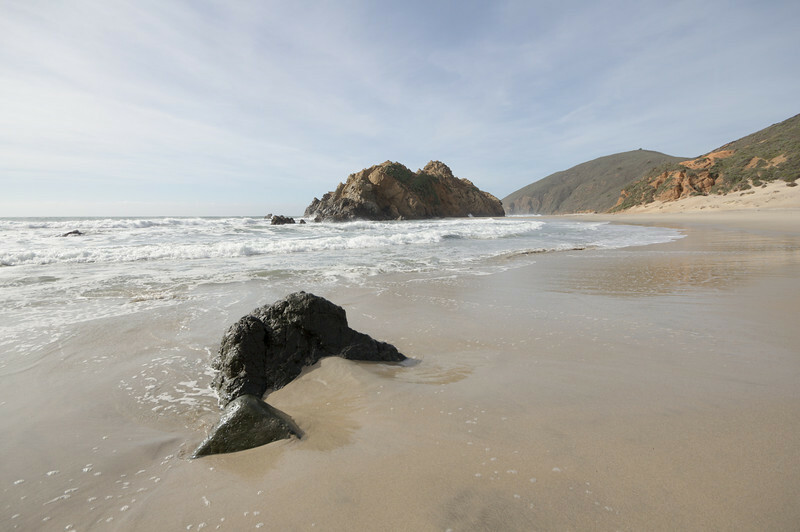 If you were to zoom in to 100% and check water area close to the shore, you’d see some small post-HDR artifacts. We are going to fix it by using the Spot Healing Brush Tool. Select Spot Healing Brush Tool and just paint over artifacts. The problem areas are very small and we are not going to have any issues to cover them. No we are going to use Topaz Details plugin from Topaz Labs (30 days free trail available here) to enhance details in the image and since we want to boost details in areas of trees and not the water and sky, we need to use a masking technique, similar to what we already did earlier. Use following settings. 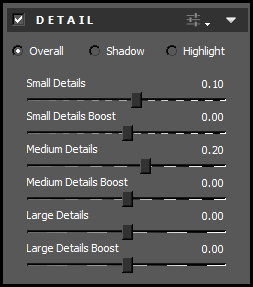 Please note that we are using only 2 sliders: Small Details and Medium Details. Normally, Noise Reduction is the final step in my Photoshop workflow. My tool of choice when dealing with the noise is the Topaz DeNoise plugin from Topaz Labs ( check my Topaz DeNoise Product Review ). 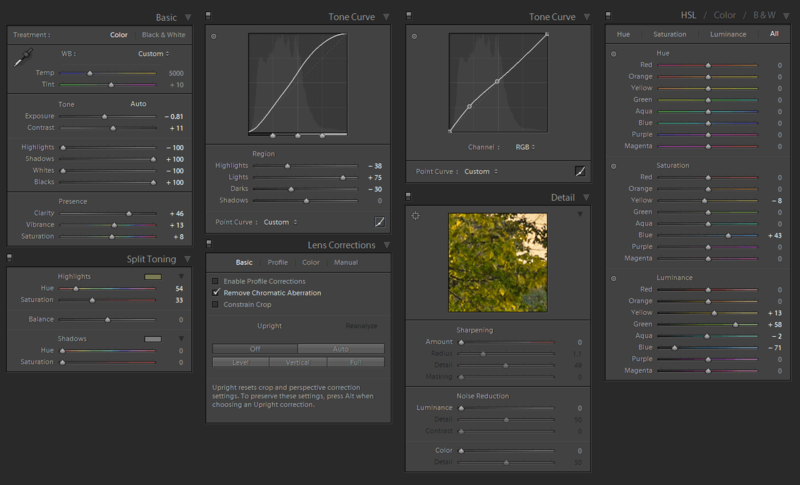 Select preset from right panel RAW – Light and click OK and you are done. This step is optional and you can skip it all together, but when I looked at final image I felt it was a little bit too dark for my taste and decided to brighten it up a bit. I used Curves Adjustment Layer ( Layer > New Adjustment Layer > Curves) to achieve it, and again used the familiar masking technique to brighten up only the center of the image while keeping the corners and edges darker. The final step in my typical photography workflow is to export final image as a JPG at full size and 100% quality, using the Lightroom plugin to upload it to my portfolio on SmugMug for safekeeping, sharing, and online sales.